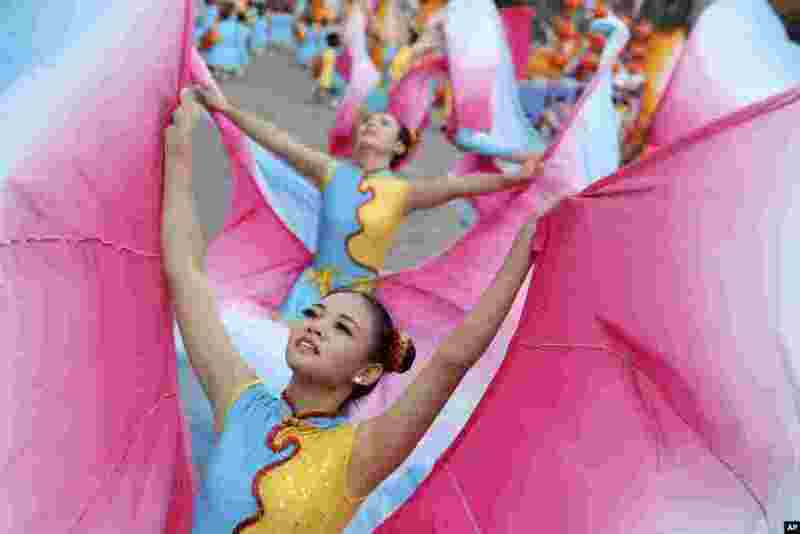 1 Young dancers perform during National Day celebrations in Taipei, Taiwan. During Taiwan President Ma Ying-jeou's keynote speech, he gave his support to Hong Kong's student protesters demanding universal suffrage in its 2017 election. 2 Malala Yousafzai holds flowers after speaking during a news conference at the Library of Birmingham, in Birmingham, England, after she was named as winner of The Nobel Peace Prize. 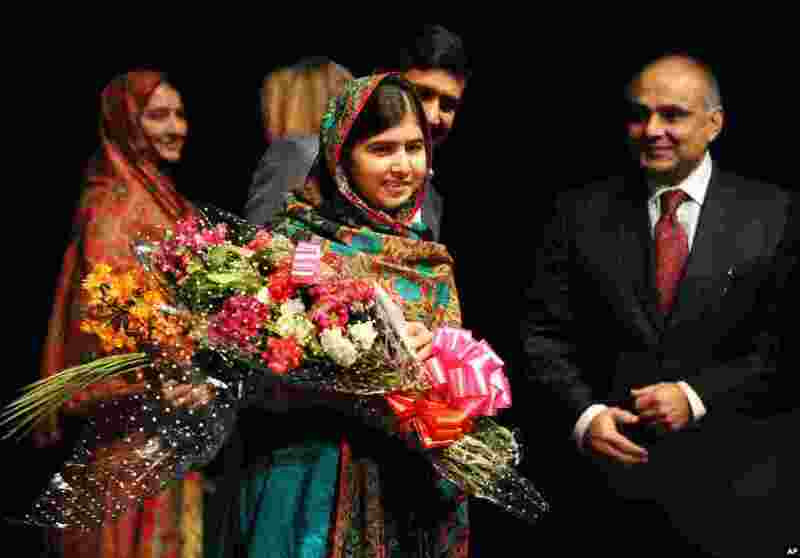 The Prize was awarded jointly to Yousafzai of Pakistan and Kailash Satyarthi of India, for risking their lives to fight for children’s rights. 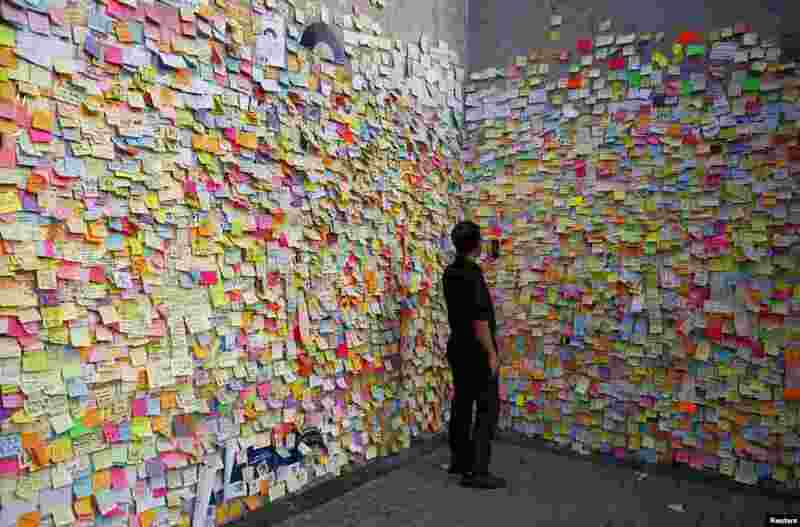 3 A man takes a picture on a wall full of messages left by pro-democracy protesters outside the government headquarters in Hong Kong. Hong Kong student protesters say they are determined to maintain their campaign for full democracy. 4 U.S actress Angelina Jolie, right, is presented with the Insignia of an Honorary Dame Grand Cross of the Most Distinguished Order of St Michael and St George by Britain's Queen Elizabeth II at Buckingham Palace, London.